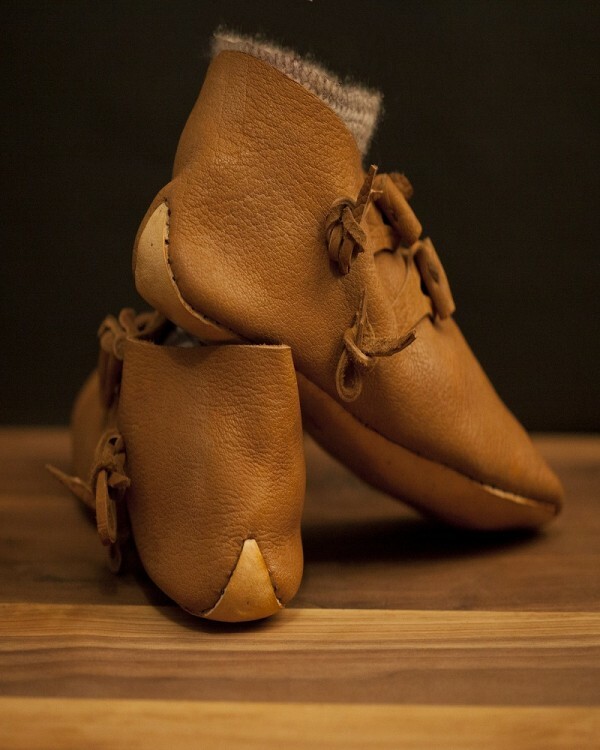 Jorvik Turn shoes. Based on the finds from Coppergate in York. 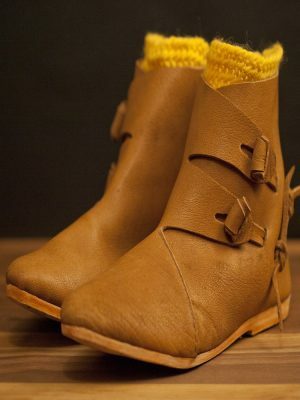 These shoes have a 4-6 mm veg-tan leather sole with triangular heal riser and (inside foot) leather 2 toggle closure. 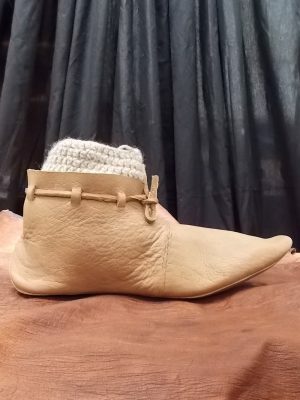 Jorvik Turn shoes. Based on the finds from Coppergate in York. 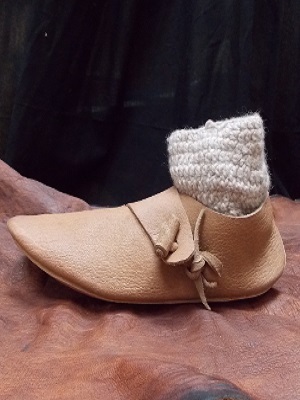 These shoes have a 4-6 mm veg-tan leather sole with triangular heal riser and (inside foot) leather 2 toggle closure. 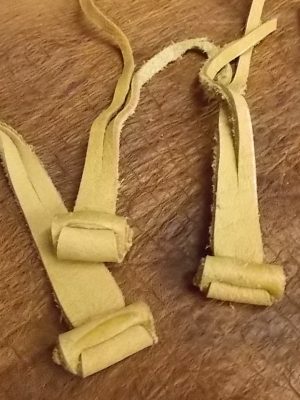 These shoes are hand cut from veg-tan leather, hand sewn inside out on a wooden last, then soaked and then turned the right way out, just as it was done 1000 years ago.